Like many places in Colorado, Littleton is going through a building boom with more businesses and residents moving to the city. LITTLETON, Colo. -- As the Denver Metro area continues to grow, some cities are dealing with growing pains while trying to accommodate new development. Like many other areas surrounding Denver and the Denver Tech Center, the city of Littleton is experiencing a building boom. “The growth that we’ve been experiencing here in Littleton is not unique, it’s really a region wide,” said Jennifer Henninger, the director of community development for Littleton. Littleton has a lot to offer; the city is located about 20 minutes away from Denver and the Denver Tech Center. It’s more affordable than either of those business hubs and it offers mass transit options like Light Rail. Because of this, developers have been bringing numerous new projects to the area. “Over the past two years, actually, we’ve handled over 5,000 residential and commercial permits here in Littleton,” Henninger said. For years, the permitting process for commercial and residential development remained unchanged and the department that handled the permitting was relatively small. However, the city has had to make major changes to accommodate all of the growth. In 2017, the city received a total of 2,711 residential and commercial permit requests. That number bumped up to around 3,100 new permit requests in 2018. In the first few months of this year, Littleton has already received 600 permit requests and the city is anticipating it could break the 4,000 mark by the end of the year. “Before you had this amount of permits, basically you could have a couple people handling and processing these things,” Henninger said. With more requests to develop, the city started experiencing growing pains. Paperwork started getting in the way of progress and developers were getting frustrated. “They felt like every time they came to the city, they would be getting a different answer or a different set of requirements,” Henninger said. So the city started looking for a way to streamline the permitting process to make it easier for everyone to understand and comply with. “A big part of what we went through was truly identifying what we were going to require for each of those permits and then making it very clear up front what we expect when those permits are delivered,” Henninger said. 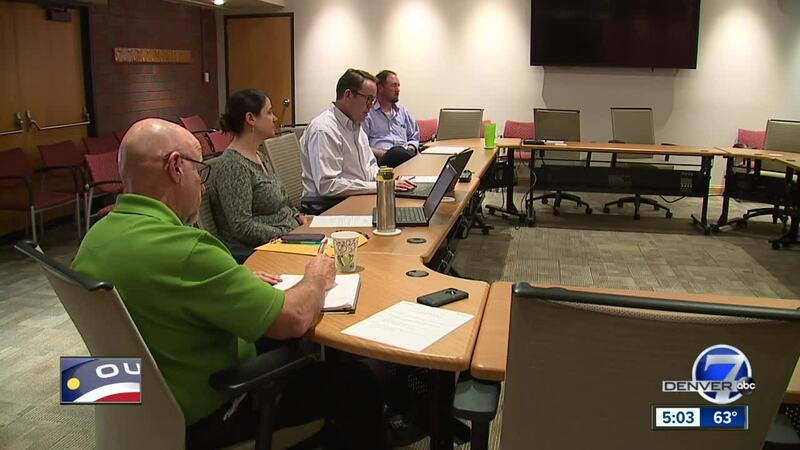 The city stressed the need for consistency, predictability and accessibility while reforming the permitting process, turning to cities like Greeley to learn how the process could be streamlined. On the commercial side, much of the permitting process has moved online with a new eTRAKiT system. The digital system not only helps developers keep track of their requests while waiting for approval, it also helps the different city agencies keep everything in order. The results have been positive. “We have been able to cut down review times and cut down the waiting times to get things back from referral agencies,” Henninger said. On the residential side, this week Littleton launched a new rapid review program for homeowners. Instead of undergoing the entire referral process alongside major commercial development projects, homeowners can now stop by the Littleton permitting office on Thursdays to file an application and get their permits approved that same day. The rapid review process is for small projects like adding a deck, shed or pergola to a home. Beyond that, the city is also in the process of surveying developers to find out from them how to make the process run more smoothly. “They have gone through the process, have seen the good, the bad, the ugly of our process and really can give us that effective feedback,” Henninger said. It’s all part of the Envision Littleton project, which looks into the future 20 years to figure out how to grow responsibly while maintaining the city’s character. Henninger hopes all of their work will make for fewer pains as Littleton grows and welcomes new residents and businesses. “It’s a fantastic place and we’re growing so come visit,” she said.